Pour about 1 cup of baking soda into a jar & drop in 4 drops of lavender essential oil. Put on lid & shake jar. 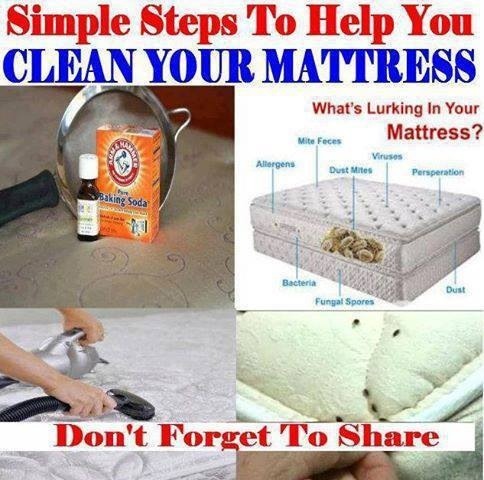 Using a kitchen strainer, sprinkle the baking soda mixture all over the mattress & let it sit for an hour or more. Thoroughly vacuum the mattress.